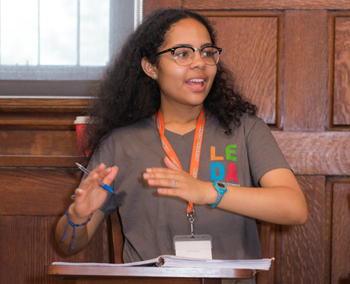 LEDA Scholars are selected as juniors in high school and spend the following summer at our signature program on the campus of Princeton University. The Aspects of Leadership Summer Institute is an intensive seven-week program and completely free of charge for LEDA Scholars. It includes leadership training, academic writing instruction, standardized test preparation, college guidance, and community building. 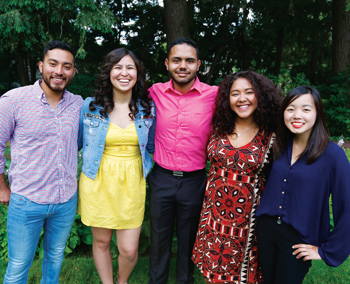 The Summer Institute provides LEDA Scholars with a unique range of learning experiences that help them develop and sharpen their problem-solving skills and open the door to reaching their potential as students and leaders. The Aspects of Leadership curriculum concentrates on the development of ethical and effective leadership through an exploration of some of the toughest policy issues facing the world in the 21st Century. The seven-week curriculum engages students with innovative teaching and learning techniques that are highly effective, fun and memorable. They include role-play simulations, student debates, mock trials and critical thinking games. We use interactive computer programs, innovative group discussion techniques, and other methods carefully tailored to accommodate individual learning needs. The classroom activities have been designed not only to convey exciting content related to leadership, but more fundamentally to develop the critical thinking skills vital to students’ academic and personal development. "The Aspects facilitators are the smartest people that I have met. They opened my views on not just controversial matters, but to education and the world. They encouraged me to speak my mind unlike my schools back home." LEDA’s Writing Program is a critical element of the summer program. 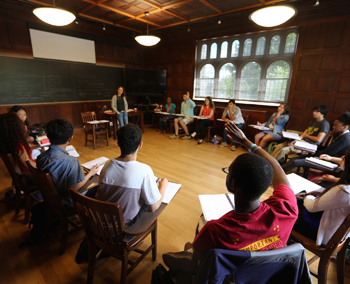 Our curriculum prepares Scholars to write at the level expected at selective colleges and universities, emphasizing academic argument, clarity of style and structure, research and revision. Writing classes are limited to 12 Scholars and are supplemented by weekly one-on-one conferences with a writing instructor. All of LEDA’s writing instructors are current or former faculty at selective colleges or universities. 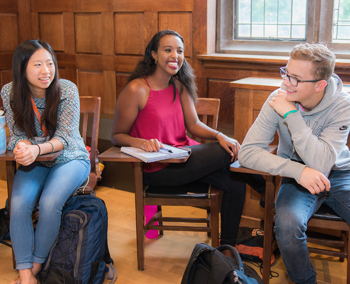 LEDA’s college guidance work begins at the Summer Institute, where Scholars are exposed to a wide range of college options through trips to campuses, information sessions and panel discussions designed specifically for our Scholars by representatives of more than 20 selective colleges. Scholars also attend college guidance classes that focus on the application process and understanding what makes a college a good fit for them. In individual meetings, Scholars develop strong relationships with their LEDA college guidance counselors that continue throughout their senior year. Living in residence with them, LEDA counselors get to know their Scholars well, making them strong supporters and knowledgeable advocates throughout the admissions process. "Being at LEDA has shown me that my opinions are valued, that who I am is important. I've learned to speak up and express my thoughts, and that doing so can help the people around me, my community. I can be a leader by being an active member of the community." Students receive expert preparation for standardized tests from Advantage Testing, a leading tutoring company that gets them ready for the SAT and ACT with preparation materials, coaching and practice tests. 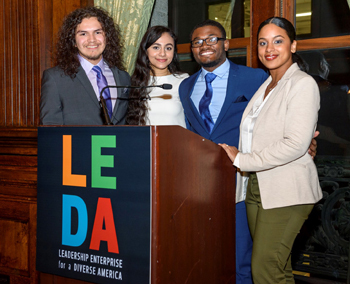 The intensity of the academic program, the experience of living together on the campus of an elite college and the program’s supplemental group activities all help develop a strong sense of community among LEDA Scholars. They depart the Summer Institute with an extended network of supportive peers and come away with the feeling behind our motto: LEDA For Life.